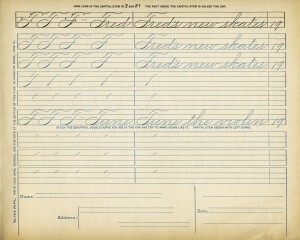 Here are three vintage penmanship practice pages. 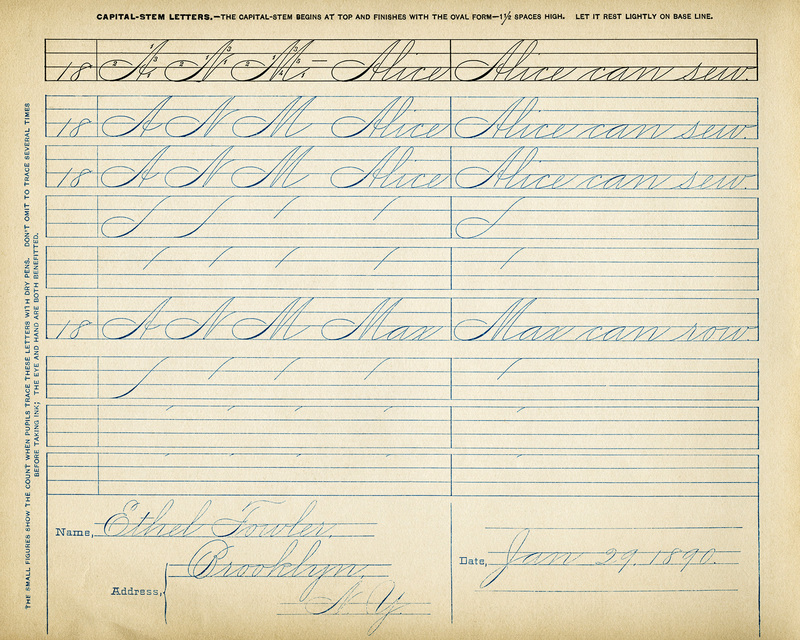 The first page includes practice lines for the number 18, the letters A, N and M, the words: Alice and Max, and the sentences: Alice can sew and Max can row. 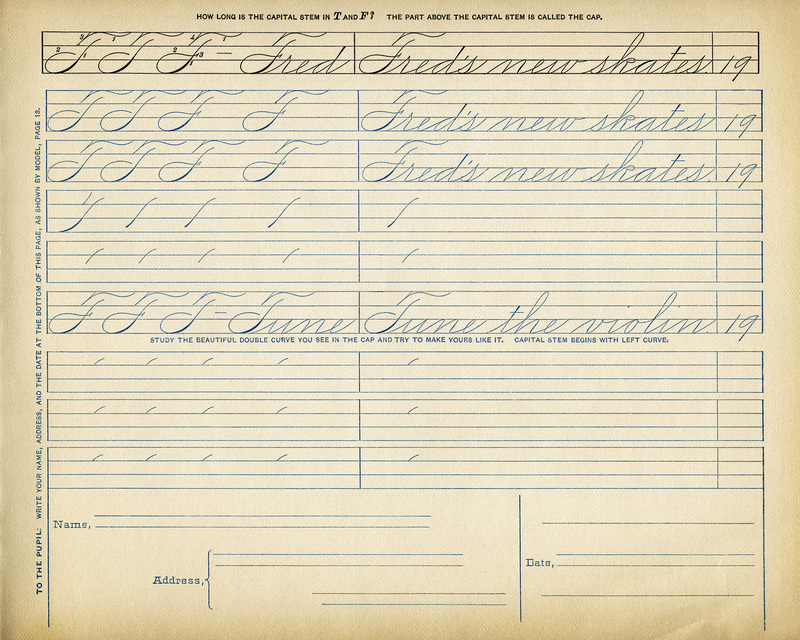 The second page includes practice lines for the number 19, the letters F and T, the words: Fred and Tune, and the sentences: Fred’s new skates and Tune the violin. 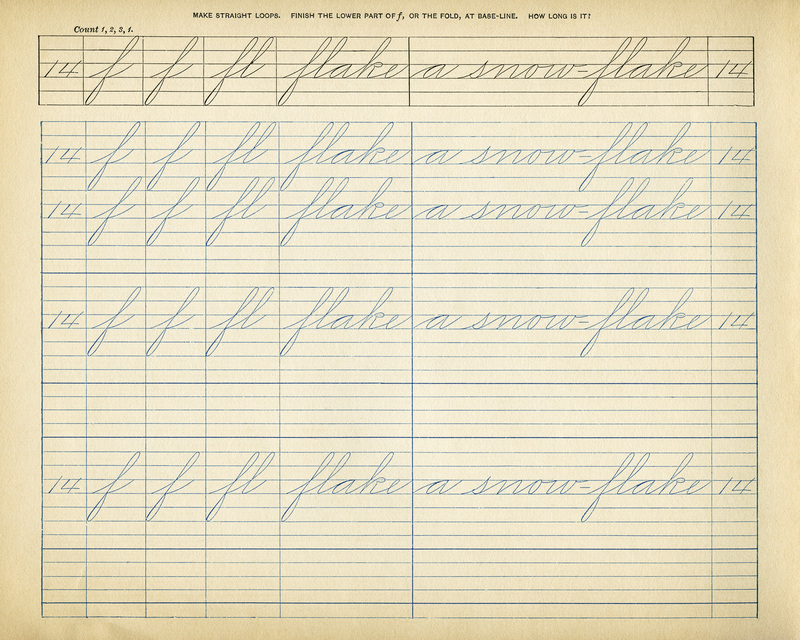 The third page includes practice lines for the number 14, the letter: f, combined letters: fl, the word: flake, and the phrase: a snow-flake. 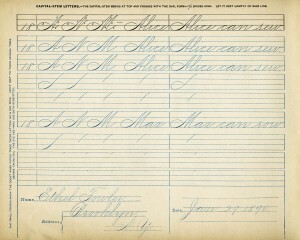 The pages are from an Appleton’s Standard System of Penmanship booklet that was published by the American Book Company in the late 1800’s. 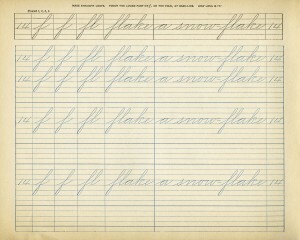 These practice papers are really, really cool. Thanks for sharing them..
You’re welcome Christine. It’s so nice to know that you like them.